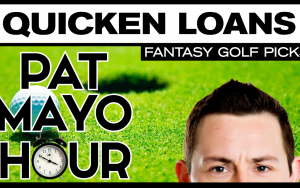 Pat Mayo and Geoff Fienberg debate their Quicken Loans picks and the week in betting at this week’s PGA Tour stop at Congressional CC. Pat Mayo discusses his favorite 2016 Quicken Loans National DraftKings Picks while previewing the course and the week in DFS Golf and betting. Pat Mayo breaks down the field at this week’s PGA Tour stop with his 2016 Quicken Loans National Picks, Strategy and Sleepers. 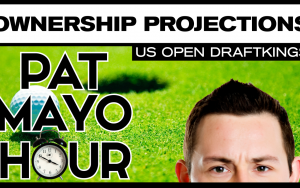 Pat Mayo and Tony Cincotta review the field for the US Open discussing their core players and projecting ownership level in the 2016 US Open DraftKings Millionaire Maker Event. Pat Mayo breaks down the field at this week’s PGA Tour stop with his 2016 US Open Picks, Strategy and Sleepers. 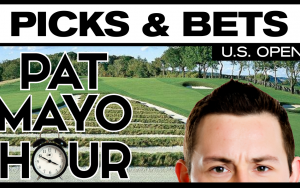 Pat Mayo and Geoff Fienberg debate their US Open picks and the week in betting at this week’s PGA Tour stop at Oakmont CC. Pat Mayo gathers Jeff Bergerson (FantasyGolfInsider.com), David Fraye (ProjectRoto.com), David Jayne (DailyFantasyBootcamp.com) & Drew Dinkmeyer (DailyRoto.com) to make their 2016 US Open DraftKings Picks. 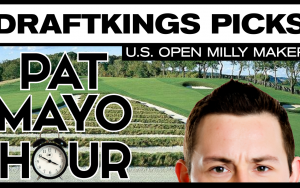 Plus, a focused look at roster strategy, sleepers, ownership levels, and players to avoid in the 2016 US Open DraftKings Millionaire Maker event. 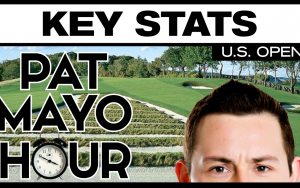 Pat Mayo and Stephen Richter (Fantasy Golf Metrics) discuss the key stats they are targeting for the 2016 US Open Oakmont CC. They look at the history of Oakmont, primarily which stats have generated the most success, and the players that are currently rating the highest in the 2016 US Open Key Stats. Pat Mayo and Geoff Fienberg debate their St. Jude Classic picks and the week in betting at this week’s PGA Tour stop at TPC Southwind. Pat Mayo discusses his favorite 2016 St. Jude Classic DraftKings Picks while previewing the course and the week in DFS Golf and betting.